Your Pembroke Pines Accident Attorney, Robert E. Gluck is the person whom you should contact immediately following your accident. If you have been injured in an accident due to a slip and fall, from falling on someone's property, from using a defective item, or from an automobile incident, call your accident attorney as soon as possible. You will be at a great advantage with Robert E. Gluck as your accident attorney, so do not wait to call him! Before he can launch a full investigation into your case, he will have to prove negligence. This is when a prudent person fails to follow a certain level of standard care, and it results in injuries to another person. Your Pembroke Pines Accident Attorney will prove negligence and the guilty party will be held accountable for your injuries. Robert E. Gluck will work hard to get you the settlement that you deserve. The guilty party will be held responsible, and will have to pay for your medical expenses. Robert E. Gluck will serve as powerful representation on your behalf, and protect your legal rights. He will see to it that you are treated fairly at all times, and not taken advantage of. Hiring a Pembroke Pines Accident Attorney such as Robert E. Gluck can greatly impact the outcome of your case. Research demonstrates that when an injured person is legally represented, the chances of winning a case are much higher. Robert E. Gluck became an attorney in 1989, and has since then represented countless of injured clients with cases similar to yours. You will feel less stressed and more confident about your case with Robert E. Gluck as your accident attorney. Call your accident attorney sooner than later, and you could possibly be closer to receiving a settlement. 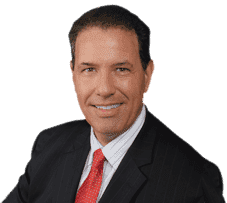 Your Pembroke Pines Accident Attorney, Robert E. Gluck, will visit the scene of the accident and look for property damage. He will take photographs of the accident scene, and secure video footage. Robert E. Gluck will speak to your witnesses and obtain their witness statements. He will gather all of the evidence that he can find to build you a powerful case. Robert E. Gluck will work hard to maximize your settlement. If you require immediate assistance from an attorney that you can reach 24-7, every day of the week, call the Law Office of Robert E Gluck, P.A. Robert E. Gluck will give you his phone number so he can easily be reached whenever you need him. He will offer his support and guidance during the entire case. Do not hesitate to call him. To have your questions answered, call 954.583.8999.